I Feel that Injuries are a Part of the Job. Why Should I File a Comp Claim? This question will get answered for you very quickly when you start paying medical bills out of your own pocket, even if the injury is minor. Injured workers are sometimes hesitant to file a WCC claim because they believe that injury and stress are simply part of the job. They often think that by filing a claim they are harming their employer financially. It must be remembered that employers in the State of Maryland are required by law to carry workers’ compensation insurance. Although we all try to minimize accidents the fact remains that they are unavoidable. The employee should not hesitate to protect themselves and their families by hiring a workers’ comp attorney and filing a claim in a timely fashion. When Should I Report a Job Related Injury? Short answer. ASAP. Call Us Immediately. 443-921-1100. After an injury, it is critical that the employee promptly notify the employee’s immediate supervisor. The employer must then notify its insurer. If the employee delays in reporting the injury, that could result in the insurer mounting a successful challenge to the WCC claim. An employee should not confuse the insurance company with the WCC. To protect a WCC claim, the employee must file a claim with the WCC. Thus, in addition to notifying the employer, the employee must complete and file a WCC complaint within two years of the injury. A workers’ comp attorney can and should represent you in this process. It is also critical to inform each health care provider – whether an initial evaluation, emergency room visit, regular treatment, or visit to a personal physician – that the injury occurred on the job. Sometimes, an insurer will defend on the theory that the injury did not occur on the job. The insurer’s attorney will likely obtain every medical record about the employee’s course of treatment. If there is no mention that the injury occurred on the job, the insurer’s attorney will bring this fact to the attention of the WCC and use it against the injured employee. Injured employees should follow the advice of their treating physician. If, for example, the physician prescribes a course of physical therapy, and the employee fails to attend scheduled therapy sessions, or attends sporadically, the insurer’s attorney may use that information to the insurer’s advantage in defending against the claim. What Kinds of Workers’ Comp Benefits are There? In a temporary total disability (TTD) situation, the injury means you can’t work at all, but only for a temporary period of time. If the TTD lasts no more than 14 days, workers’ comp benefits may not commence until three calendar days after the start of the disability, except for payments for hospital, nursing, medical services, medicine, and funeral expenses. If a TTD lasts more than 14 days, compensation is permitted from the start of the disability. The WCC benefit, which is not taxed, is “capped” at two-thirds of the employee’s average weekly wage (AWW), but no more than the state’s average weekly wage (SAWW). This benefit is paid, without time limitation, until the employee is able to return to work. The employee’s AWW is calculated based on the last 13 pay periods prior to the injury. In addition, there is an overall cap on the AWW. All expenses resulting from medical treatment for job-related injuries are compensable. Most health care providers will not accept third-party coverage, such as Blue Cross/Blue Shield and HMO’s, when told that the treatment is for a work-related injury. In the event that health insurance is used for a covered injury, the health insurance carrier will generally seek subrogation from the Workers’ Compensation insurer. This is just one reason if you have been hurt at work you need a Maryland workers’ compensation lawyer. Maximum Medical Improvement (MMI) is the point at which, in the opinion of the treating physician, further treatment will not improve the injured employee’s medical condition. At that time, the extent of permanent partial disability ( PPD), if any, must be determined by two physicians – the worker’s physician and the insurer’s physician. Most injuries, especially back, lumbar, or orthopedic injuries, cause some permanency. The injured employee’s attorney coordinates a “rating” with a reputable physician, after which the employer’s workers’ compensation insurer likewise coordinates a “rating.” The claimant’s “rating” is almost always higher than the insurer’s rating. Typically, the insurer and the claimant’s attorney negotiate a midpoint rating. A good workers’ comp attorney can be an invaluable asset in the negotiation with the insurer. Cases may be settled or stipulated. If a case is settled, the insurer usually pays a higher disability amount because the case is closed and the injured worker may not reopen the claim or seek compensation for future treatment. Conversely, if there is a stipulation, the permanency award offered is usually less, but the claim remains open for five years after final payment and may be reopened during that time if the condition worsens. The insurer remains liable for medicals for the rest of the claimant’s life, unless the claimant, at some point, accepts a settlement. Each year, the State establishes a statewide AWW. Weekly compensation, which is usually paid in a lump sum award, may not exceed the statewide AWW for the year of the injury. The WCA establishes the number of compensable weeks, depending on the injured body part. Compensable weeks range from 500 weeks for a head or back injury to 25 weeks for the little finger. The number of compensable weeks is calculated by multiplying the allowable weeks for that body part times the percentage of disability. For example, if the injured employee suffered a compensable back injury, which has been determined to be a 10% PPD, the benefit is 500 (the number of compensable weeks) x 10%, i.e., 0.10 (percentage of PPD) = 50 weeks. The WCA sets three weekly compensation tiers. For injuries resulting in less then 75 weeks of compensable disability, the claimant receives one-third of the AWW, times the number of compensable weeks, not to exceed one-third of the statewide AWW. For injuries resulting in 75 to 249 compensable weeks, the claimant receives two-thirds of the AWW, times the number of compensable weeks, not to exceed 50% of the statewide AWW. For injuries resulting in at least 250 compensable weeks, the number of compensable weeks is increased by one-third and the claimant receives two-thirds of the AWW for the increased number of compensable weeks, not to exceed 75% of the statewide AWW. In addition to accidental injuries, the WCA covers certain occupational diseases if the worker is disabled by, or dies from, a disease. Examples include black lung disease, asbestosis, hearing loss, hypertension, and heart disease. Hypertension and heart disease are prevalent in certain types of occupations, such as law enforcement officers and fire fighters. This is due in large part because of job-related stress and periods of “calm-to-adrenaline-rush,” followed by a subsiding, followed by another rush. The claimant has the burden of proving, by clear and convincing evidence, that the medical condition resulted from the employment. Occupational disease cases in workers’ compensation law in Maryland are difficult to prove. A good workers’ comp lawyer is recommended. Can I file a Comp Claim Myself? Okay, it’s not brain surgery. But it’s not easy. There is a lot to know and it comes with time, experience, and study. There is no fee for services unless we win. Furthermore, even if you are a good negotiator, it doesn’t mean you are a good negotiator of workers’ compensation benefits. 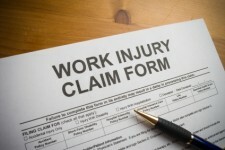 If you would like to learn more, click how to file a workers’ comp claim. Do I Need a Workers' Comp Attorney?